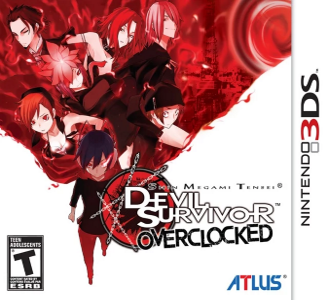 Shin Megami Tensei: Devil Survivor Overclocked is a 3DS port of the NDS game Shin Megami Tensei: Devil Survivor, with some additional/improved content. This tactical RPG game is set in Tokyo as it is put in quarantine due to a demon invasion. It was published by Atlus in North America and Japan, and Ghostlight in Europe. Shin Megami Tensei: Devil Survivor Overclocked is currently unplayable. After the Atlus logo fades to black, the intro movie’s music will loop as a black screen shows. Audio and framerate seem fine with a decent CPU, though it’s hard to say without getting ingame.